Takeaway: Take your yoga practice to the next level with these seven poses to try on your own. It was when I started to practice at home that my relationship to yoga changed. It went from something that I did in class to an experience that was profoundly personal, and an integral part of the way I lived. At first, I was unsure of what to do and whether I was doing it right, but I soon realized that the uncertainty is part of the process. It was in practicing just for me, without seeking the approval or validation of anyone else, that I fully understood what people mean when that say that it's "your" yoga practice. My advice to you is to keep it simple at first and get used to how it feels to practice on your own. Here are seven poses I recommend starting with. 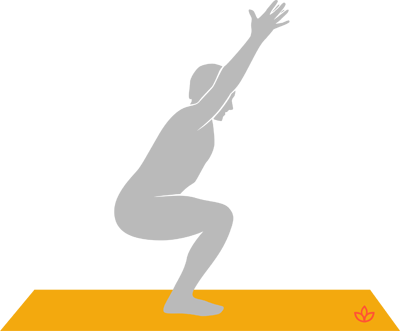 Stand with your feet parallel, either together or hip-width apart. Spread your weight evenly across the soles of your feet and lengthen your spine, as if you’re being pulled up by the crown of your head. There are few poses more centering and strengthening than mountain pose. For added challenge, close your eyes and feel all the micro-adjustments your body makes just to keep you upright. From tadasana, bend your knees, taking your hips back and lengthening your tailbone toward the ground. Reach both arms up and overhead. In utkatasana, you are cultivating a feeling of reaching up and finding strength and space at the same time as being pushed down and grounded by your lower body. As well as being a powerful lower body strengthener, it is a great place to tune into your own resilience and mental fortitude. Fold your body forward over your legs, keeping feet hip-width apart. Resist the temptation to shift your hips back, instead keeping weight in the balls of your feet. Scoop your lower belly in and up to find more space and support for the back of your body. This can be a powerful and intense stretch for the hamstrings and back. Take it gently, especially at first; and to soften the pose, bend your knees, allowing your torso to rest on your thighs. Come into a lunge with the front knee bent, knee stacked over ankle, and the back leg straight with knee lifted. Reach the arms up, bringing the palms together and taking your gaze to your thumbs. 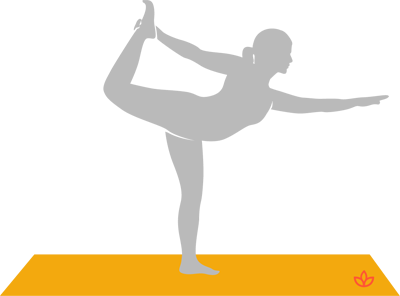 To go deeper, lengthen the front of your body to arch into a gentle backbend. Hold for five breaths. This is a great pose for releasing the abdominal muscles and hip flexors. It helps you to feel more energized and present, and can support you to cultivate feelings of love and gratitude. 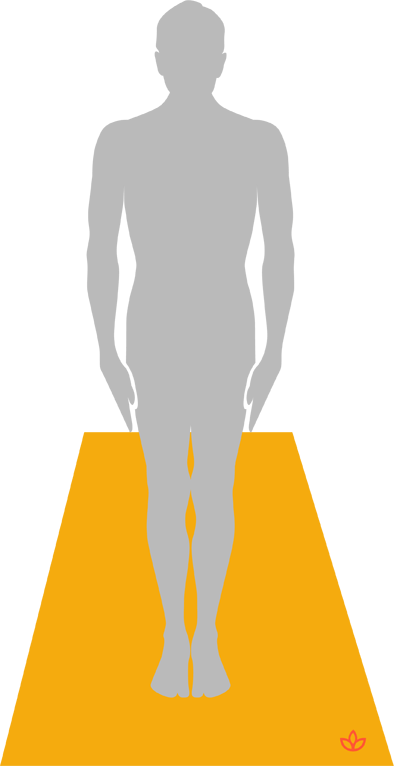 From a standing position, reach back with your right hand and lift your right foot, taking hold of the inside of your foot. Reach your left arm up, then press the right foot into your hand to help you to open into a backbend. Allow yourself to pivot forward, reaching the torso and your left arm out in front of you. From a seated position, take your legs apart to a wide angle. Then lift both arms up and hinge forward from your hips, taking your chest toward the ground. At the point you feel the stretch and opening, hold here, supporting yourself on hands, forearms or a bolster. With every inhalation here, find more length in your spine; and with every exhalation, release and soften toward the ground. This is a powerful hip and inner groin opener, and can be intense for tight hamstrings, so go gently. 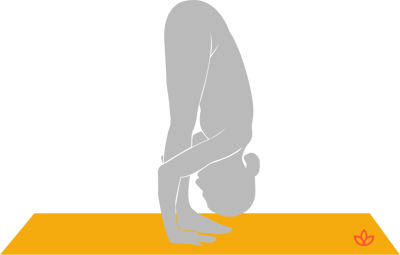 Lie on your back, lifting your feet like you are squatting on the ceiling. Hold the outsides of your feet, letting your knees come down toward the sides of your body. Lengthen your tailbone down and deepen your breaths. Happy baby pose is the ultimate stress reliever. It opens the hips in a gorgeously supported way, releases the lower back, and helps you to calm your body and mind. To maximize its benefits, get playful, rocking side to side to massage your lower back.